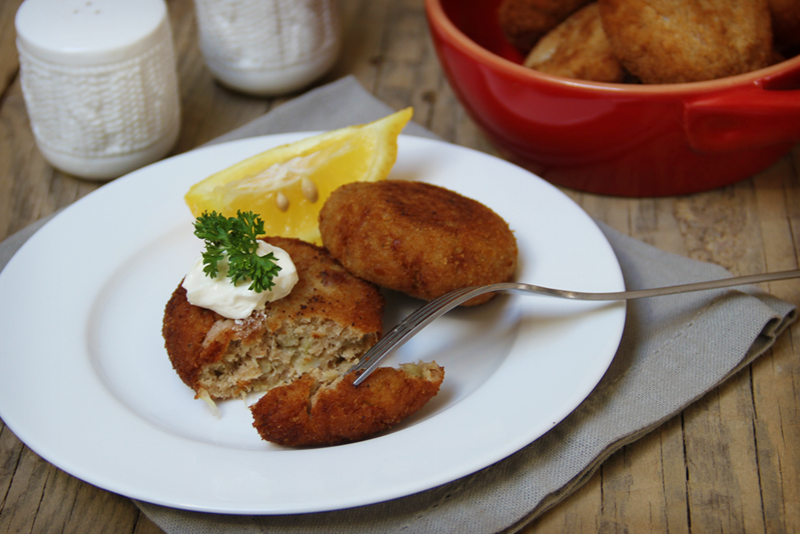 Fish cakes are incredibly quick and easy to make. Using Nuveg sweet potato portions makes it even easier and absolutely delicious. Defrost the Nuveg Sweet Potatoes. Stir together all the ingredients; except the extra breadcrumbs. Use wet hands to shape portions into 8cm patties. Let it rest in the refrigeration for half and hour. Heat the oil in a large non-stick pan over medium to high heat. Add the patties and cook for 3-4 minutes each side or until golden brown. Serve immediately with a small salad, chips and lemon halves.